whilst also providing a natural support structure to the top layer of the skin. As we age our body naturally loses its natural Hyaluronic Acid, which leaves our joints prone to stiffness and our skin dehydrated. 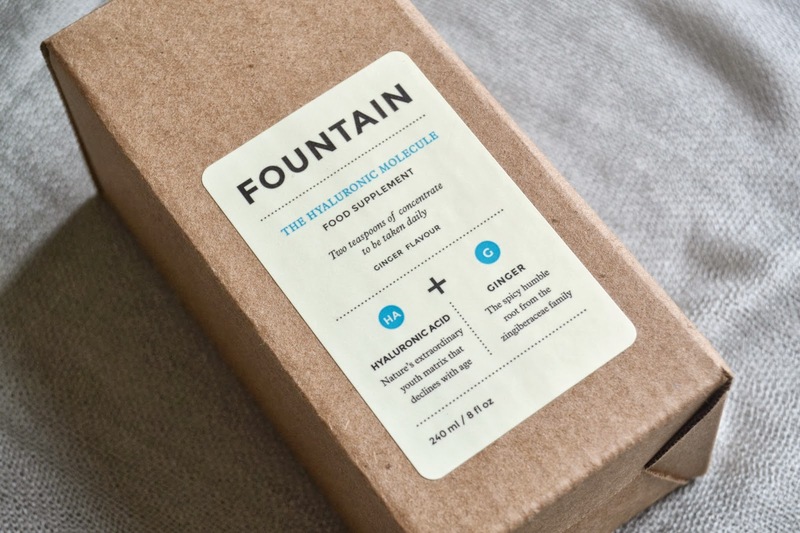 Fountain’s newest skincare supplement offers Hyaluronic Acid in a water soluble and edible format for the first time, enabling us to ingest it like a supplement or vitamin drink. 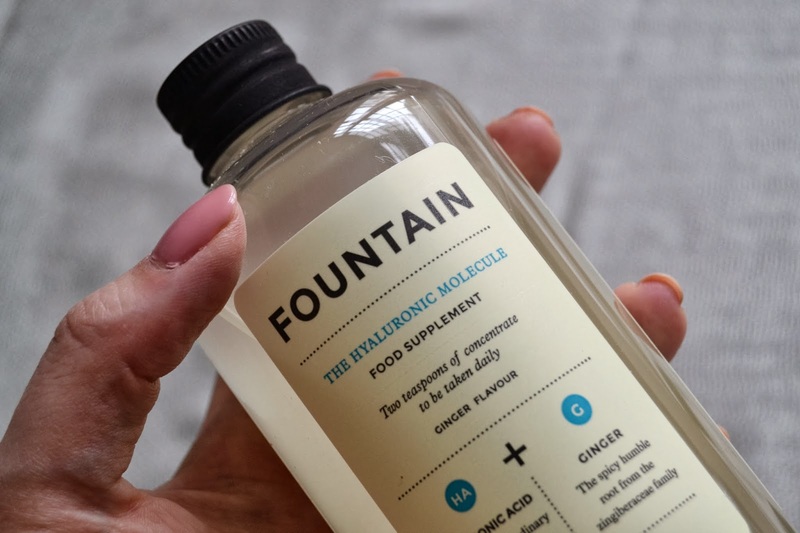 Fountain’s Hyaluronic Acid supplement encourages your body to hold on to its natural moisture; the high concentration level allows it to be absorbed quickly, while the ginger extract further aids absorption to ensure it gets to where it’s needed most. for maximum bioavailability,” says Tom Heinar, Scientific Director. Although the gel-like texture of the formula is a little unusual and odd to take directly from the spoon, you can add it to juices and drinks, as well as making a hot tea with other ingredients. 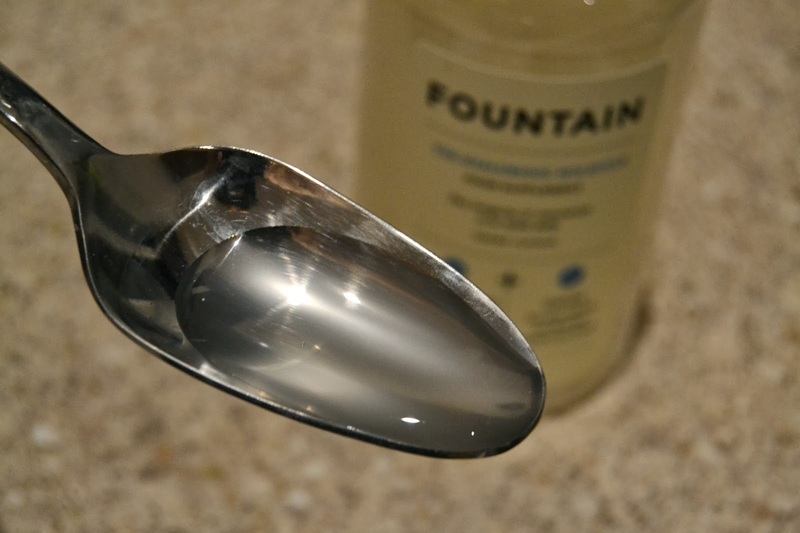 You need only two teaspoons of this a day to help plump the skin and boost your hydration level, which when paired with a significant intake of water will only leave you looking refreshed and revitalised. I really struggle with dehydrated skin, so this is going to start forming a fundamental part of my routine. 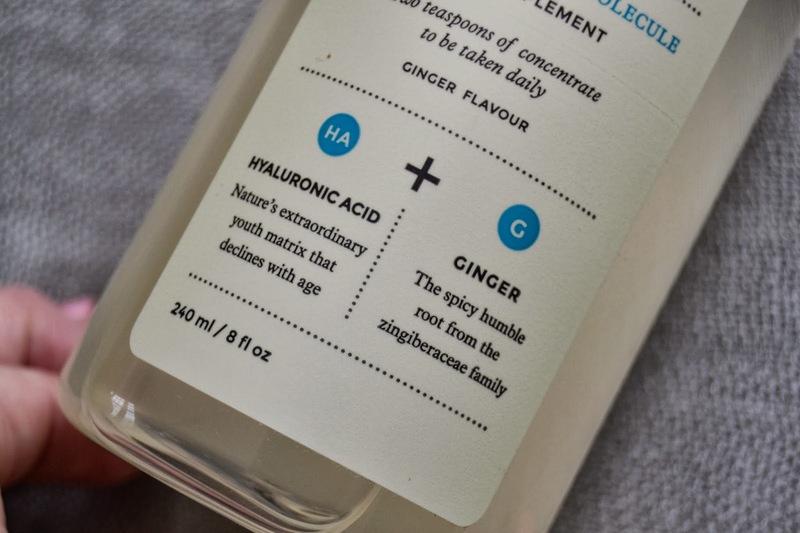 The ginger in the formula is so subtle, but greatly warming, making it a perfect product to start using as the mornings are getting colder. Next Post WHAT DO THE INGREDIENTS IN ANTI-AGEING PRODUCTS REALLY MEAN? 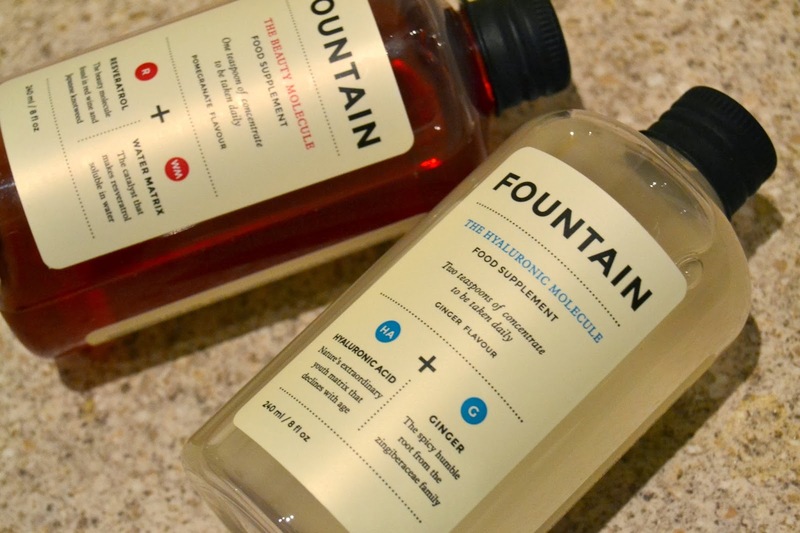 Just bought both bottles of 'Fountain Water' after hearing about it, and wanted to read some info and reviews on it, and here you are writing the reviews and a photo of you. How are you Darling would love to catch up? I don't know how to contact you?